Very soon after I ordered it, I was greeted with the sight of freshly machined steel, and it felt great. 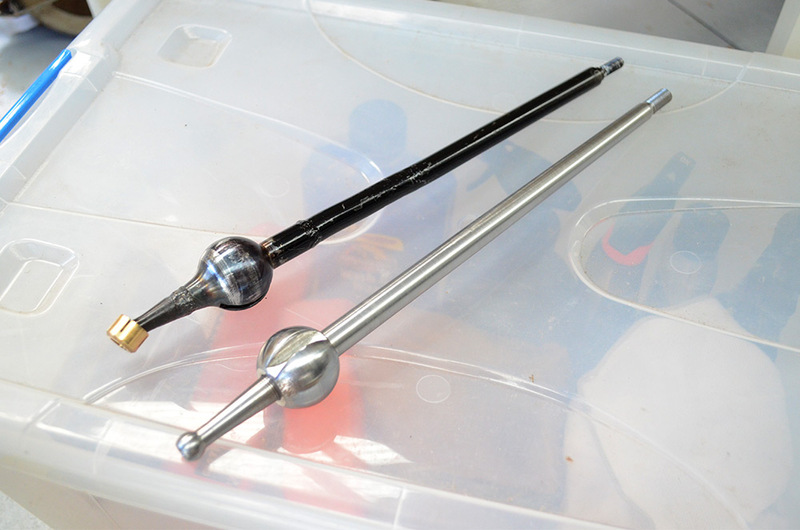 On the left you’ll see the brass bushing that I had just bought recently, which was swapped over from the old shifter onto the new one. 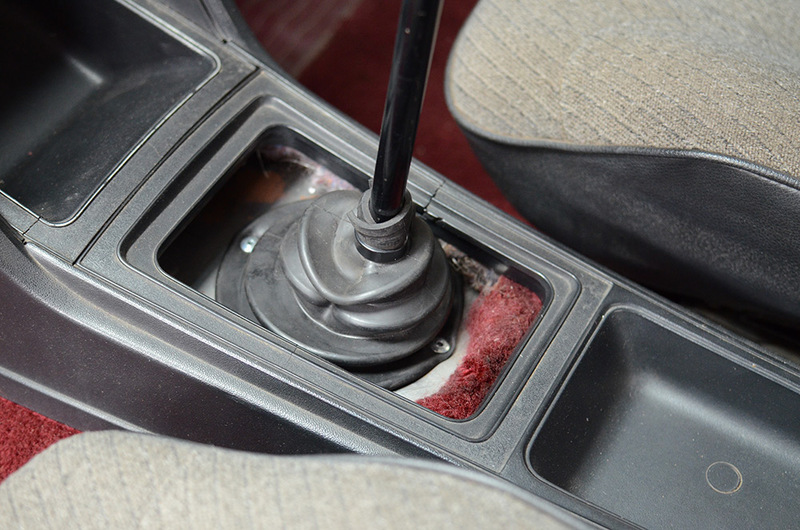 While I was fitting the new shifter, I wanted to address the gear boot situation. 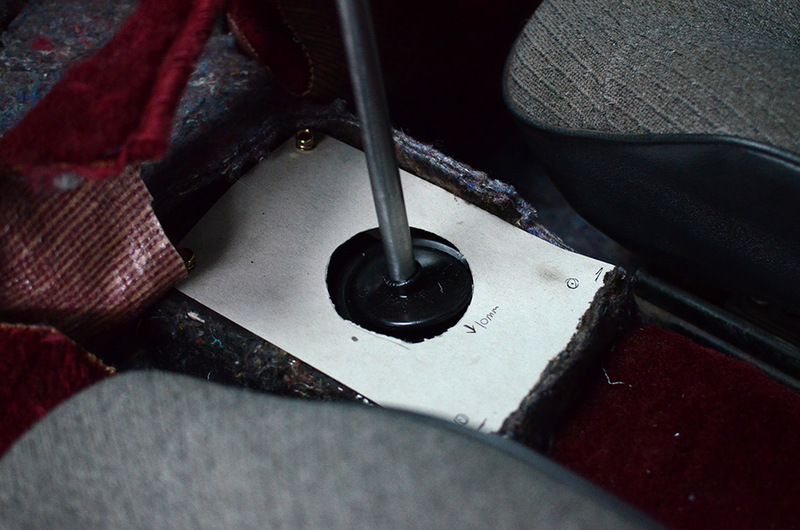 What you see above is the temporary solution that Lachy had to come up with when he made the original short shifter. Now that I’ve switched to the older style Datsun gear stick, the stick is thinner, so the gear boot that I was running (to suit the chunkier RB20 shifter), no longer worked, and had to be cut and cable-tied to get somewhat of a seal. The base of it was pop-riveted to a thin sheet of steel, which was in-turn pop riveted to my floor. Now that I was ripping it all apart, I wanted to create a neater and more serviceable solution. I searched long and hard for different gear boots, wanting to make sure I found the most minimal looking piece I could find. After speaking with Lachy, he suggested I look into boots made for Austin Healy’s, which is how I ended up with the one in the above photo. 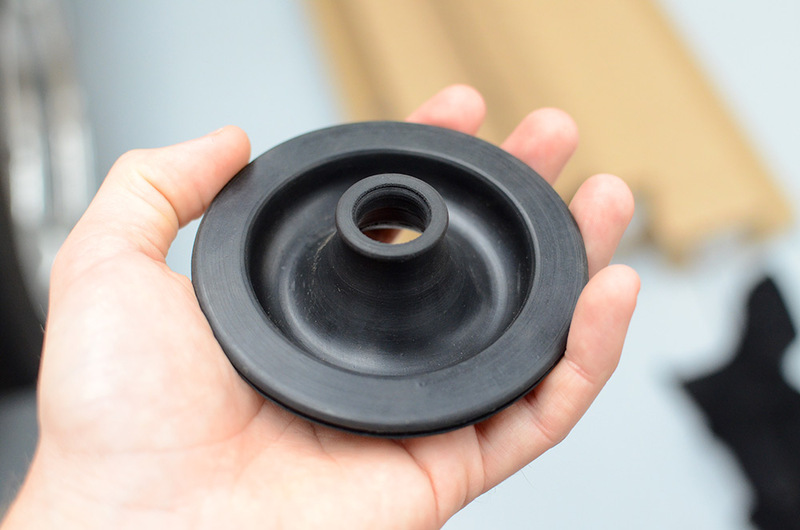 It is made with a lip inside the outer diameter, so you just need to have a hole cut to the right size for it to fit into, no clips or rivets or glue required. 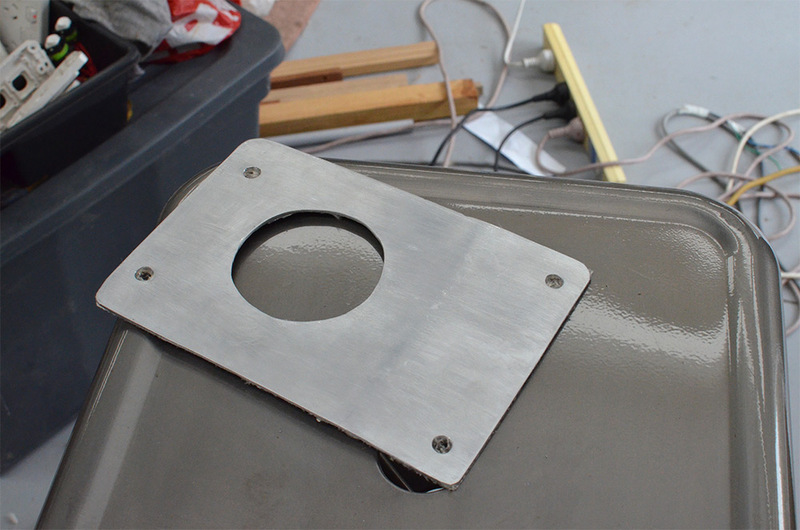 …which I then copied onto some fresh aluminium…which totally wasn’t an old sign from a bus stop. I had a roll of heat tape in the garage, so I thought I’d put some on the underside of the cover to try and keep some heat out of the interior. 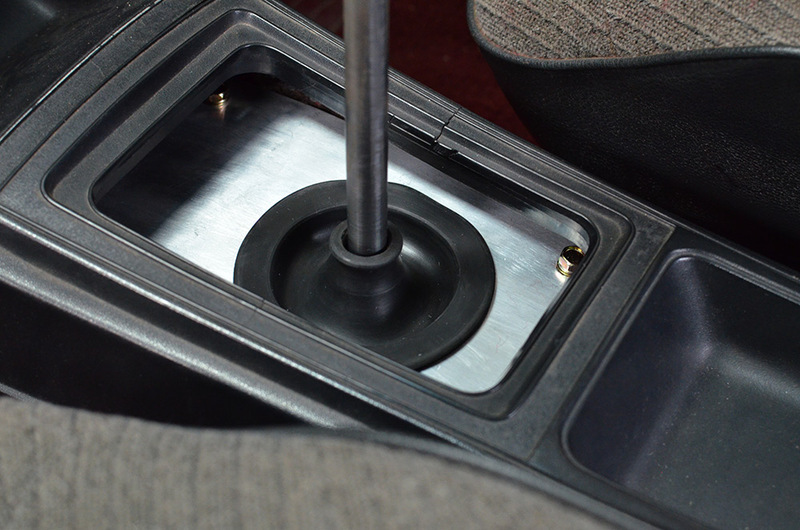 And here it is bolted into the car with the rubber boot in place. 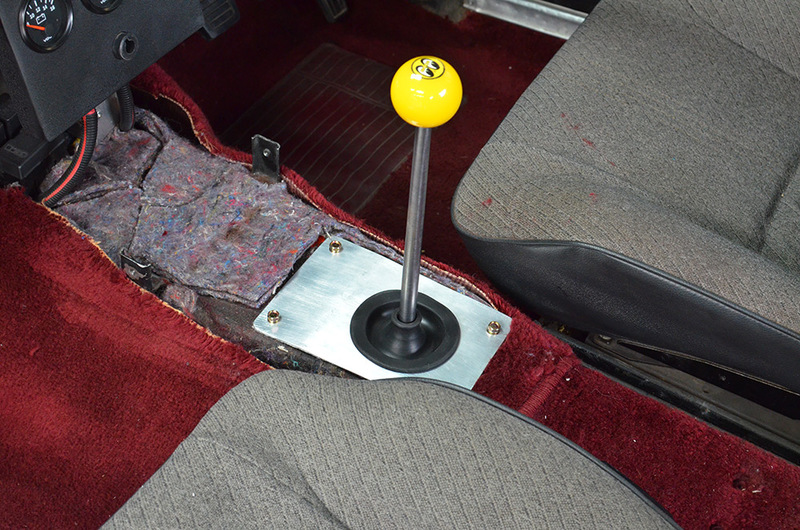 To fasten it down, I borrowed a nutset/rivnut gun and affixed some M8 inserts into the floor of the car. I might change the bolts at a later date for some stainless cap screws. 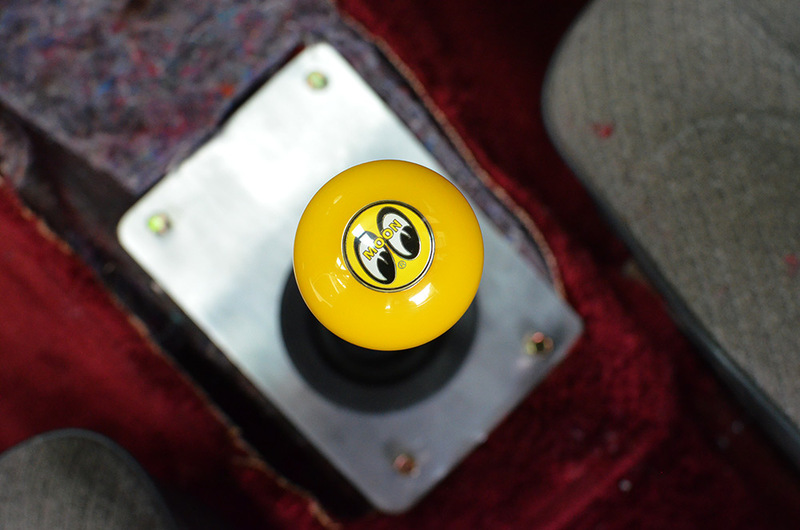 I picked up this Mooneyes gearknob when I visited their LA store whilst on my honeymoon in 2013. 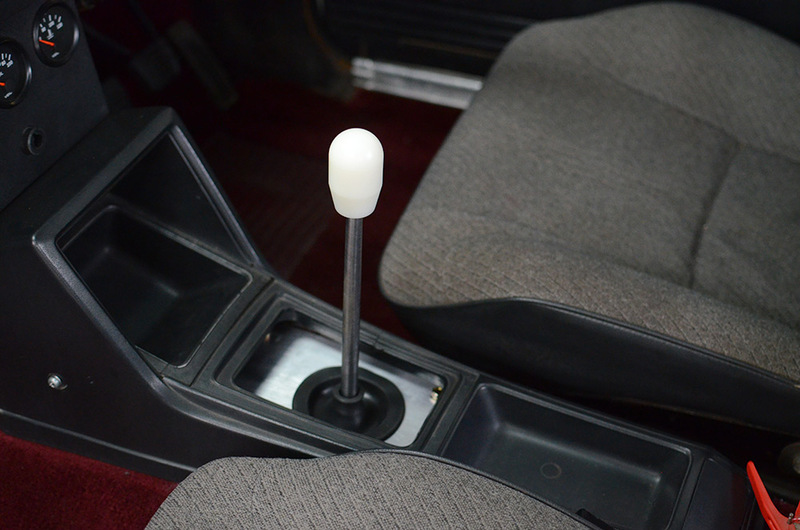 After some help from a friend who machined me an imperial-to-metric adapter, I fitted it to the new shifter. You can read about my trip to Mooneyes here. 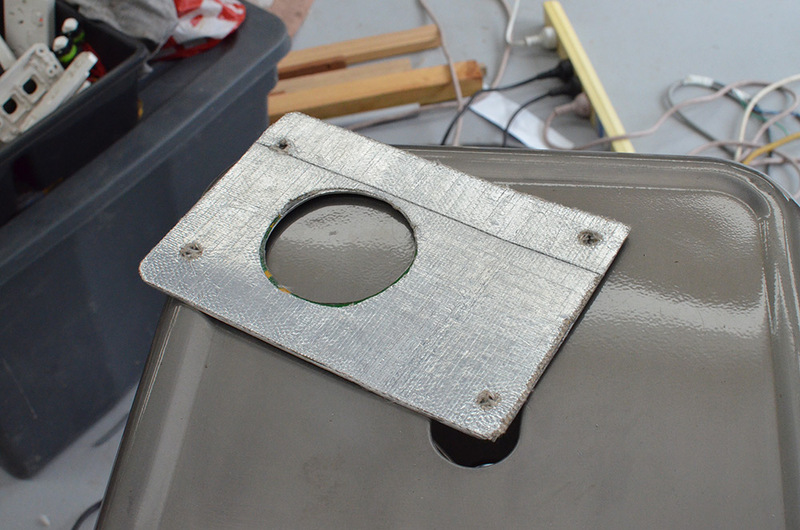 I really like the way the raw aluminium and mounting bolts peek through the console. Kind of a mixture of OEM and mechanical finishes. Looks like I need to restore that console, too. A job for another day! And here it is with my usual nylon shifter. I love it! 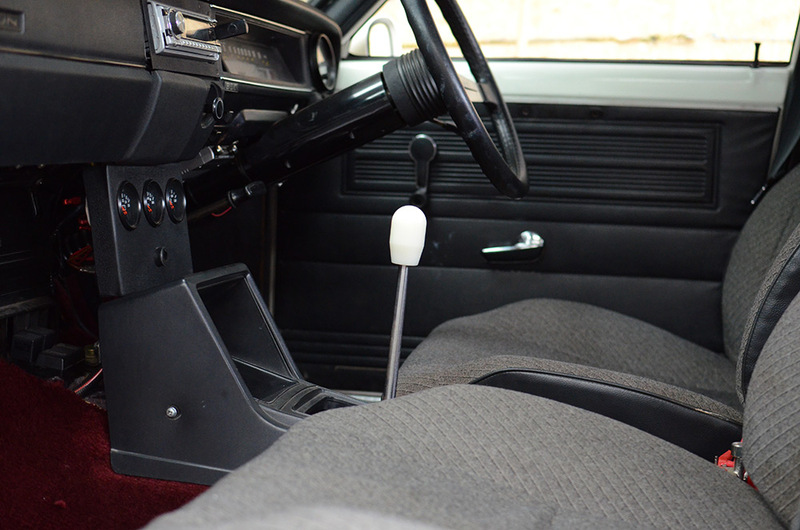 Very racecar, and now the great feel of the shifter has the looks to match. Thanks again to Lachlan at Classic Auto Fabrications for offering this great product (and my wife for buying it for me!). More interior work coming up soon!